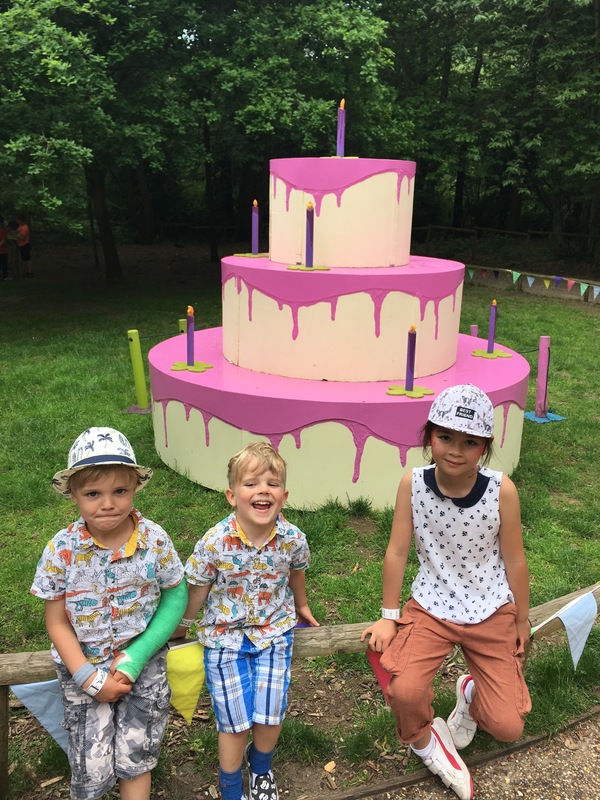 So last Saturday I had the pleasure of being invited to Bewilderwood up in Norfolk to celebrate their 10th anniversary. I was extremely excited even if it meant doing a 2.5 hour drive there and back in a day. 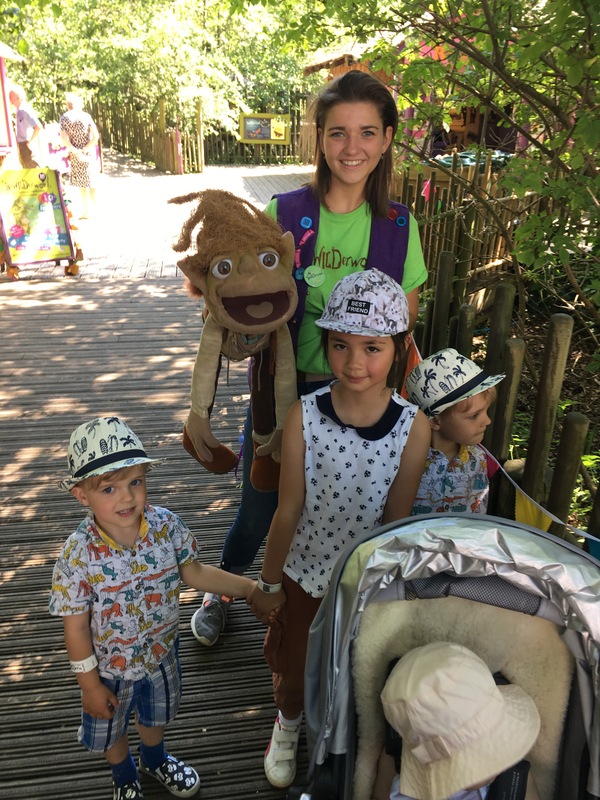 We had been to Bewilderwood back in the October half term and so the children were extremely excited to be coming back and so the 5 hour commute there and back was worth every ‘are we there yet?’. We arrived at 10ish which wasn’t too bad. We were glad for the Sat Nav as we only saw a couple of sign posts on the way however nowadays most people have a trustee Sat Nav! 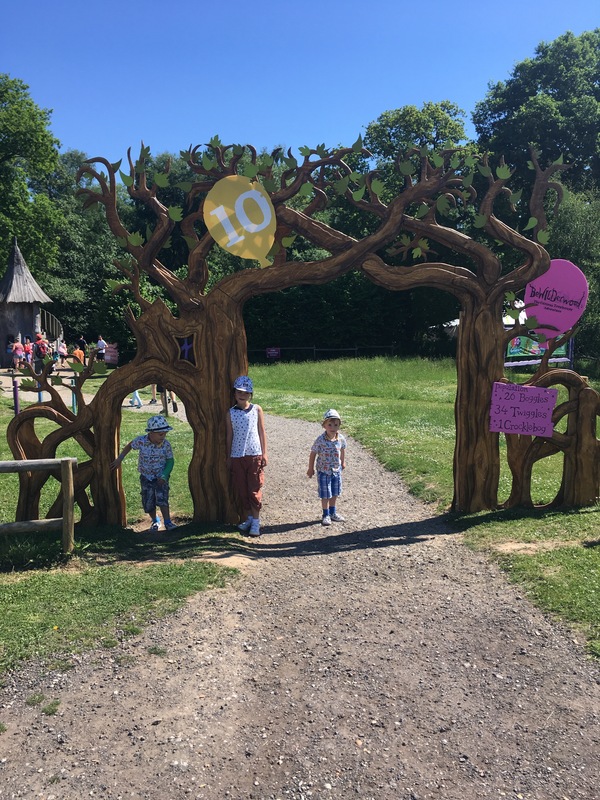 We drove through the gates, which the children excitedly counted and subsequently screamed that the Bewilderwood park was 10! Into ample parking. Now back in October half term we decided to queue for the boat and this took around 45 minutes to hour. We did the same on Saturday but the queue was more like 20-30 minutes. Now the boat ride is rather good but does last around 5 maybe 10 minutes. 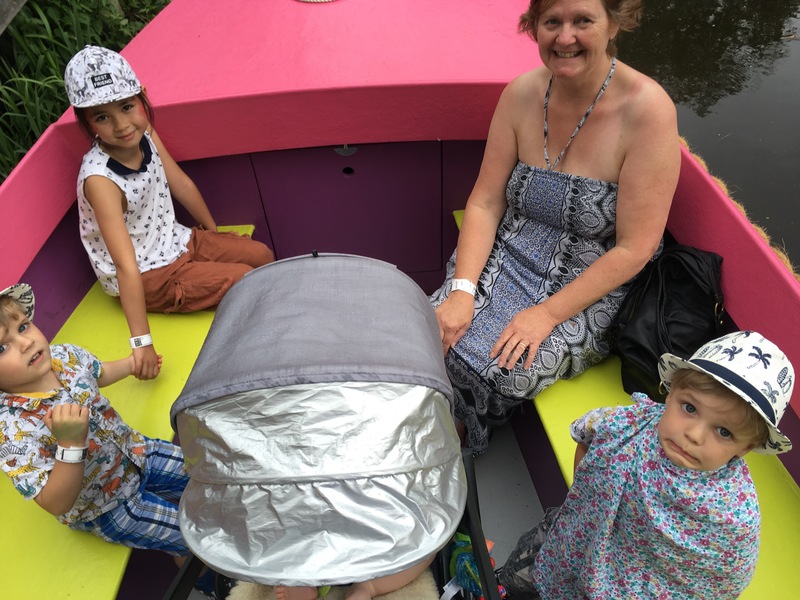 In October we had read that the boat was pushchair friendly on the website but took that with a pinch of salt, but in all honesty it is pushchair friendly. 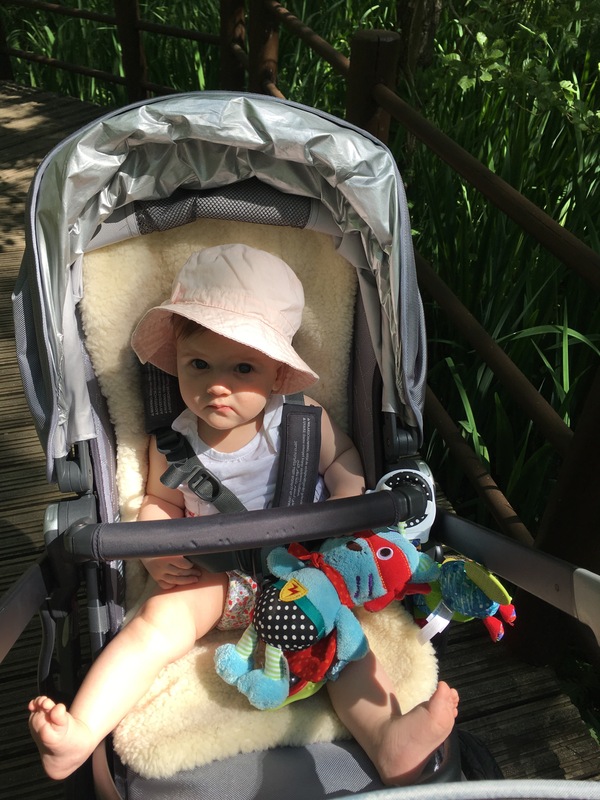 The staff help with getting the pushchairs on and off the boat and there is plenty of space for it – no getting the baby out and folding up the pushchair. Each boat can take 12 people and Saturday I counted 3 boats running. Now these boats aren’t any old boat… o no these are brightly coloured boats taking you on an a little story trail, it takes you through the books, showing you the villages and the tree houses of Swampy, Moss and Leaflette, you may even meet Mildred the crocklebog and this really sets the scene so that you believe you are entering into a different world. Now SB and BG got really absorbed into the story and the setting of the scenes however MO… well he just said it was stupid we aren’t really seeing these villages and we aren’t really entering a magical world, however when asking if he enjoyed the 5 minute story telling ride he said he loved it… so it must have opened his imagination a little. I have one tip though. The boat goes to and from the park and each way the story is told. You can always walk to the end point going through the treacherous trail which in itself has lots to look at, and catch the boat back to the entrance it may have next to no queue doing it this way. 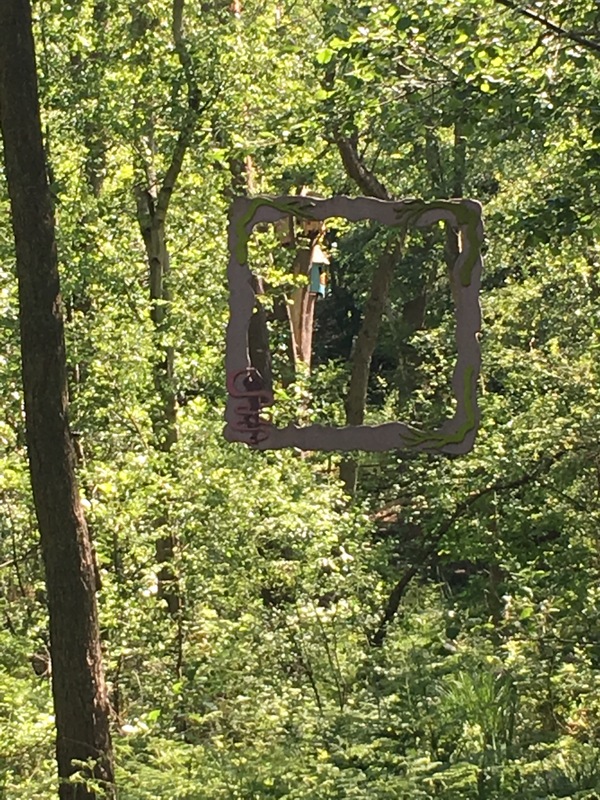 Once you are in the park you are basically surrounded by zip lines, giant tree houses and giant climbing frames. 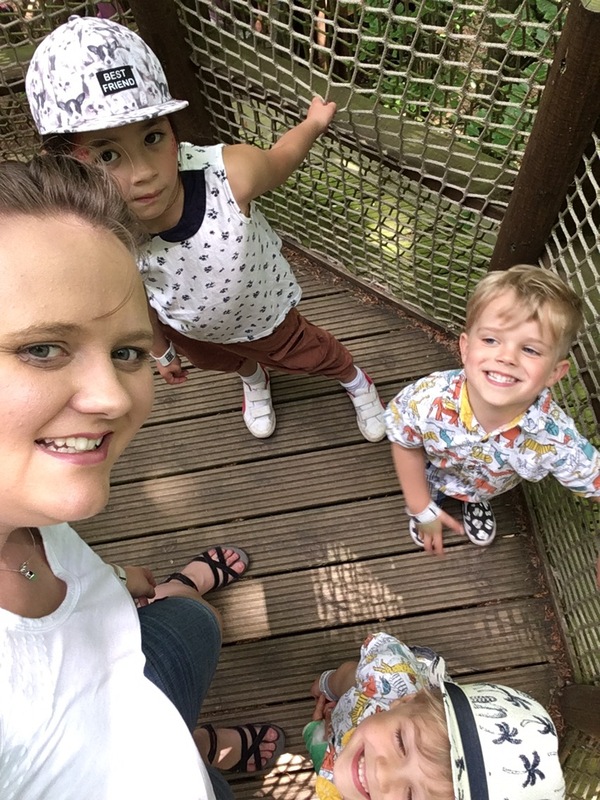 Our kids went straight to the Sky Maze… now beware as a mum I decided to do this and follow the kids and suitable footwear is advisable! Going up and down steps, rope and having to crawl and bend to get through tunnels and low ceiling corridors. I was exhausted by the time I got to the top of the maze. This is in NO WAY suitable for prams, but there are plenty of benches on the ground to park up and await the children to find their way out of the maze. Thankfully I brought my mum so she stayed with BBG in the pushchair while I raced the children through the maze. 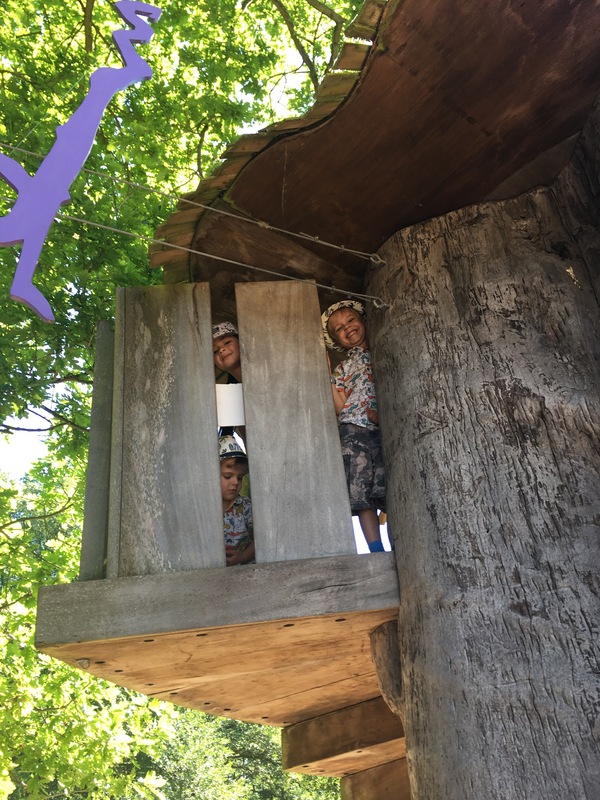 Onto den building where there are piles of logs and trees set up ready for you to start making awesome dens. It is every child’s den building dream come true. As for us parents it is a great way to relax a little and rest your feet while the kids build a den. As you make your way around the park there are just play areas all above your heads. All of these are adult friendly as well as kiddie friendly. Again all range in size, height and activities. some have slides down, some have ladders down to the ground. 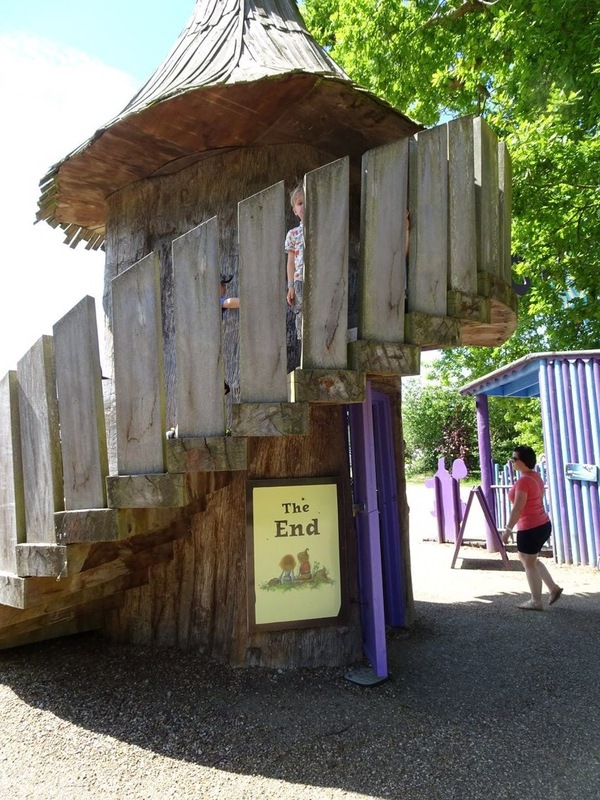 The children were zipping through all the play equipment like it was going out of fashion, each new maze or tunnel adventure etc brought an even bigger grin to the children. 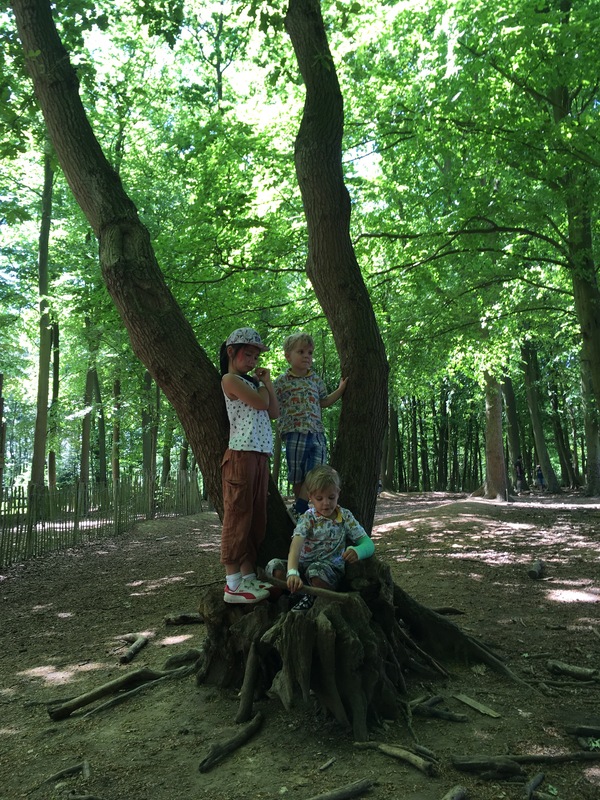 There is a lovely story telling stage where on Saturday Tom Blofeld (Author and creator of Bewilderwood) read a poem and got engaged with the children. Queue lots of shouting and laughing and interactive story telling, this is not to be missed. 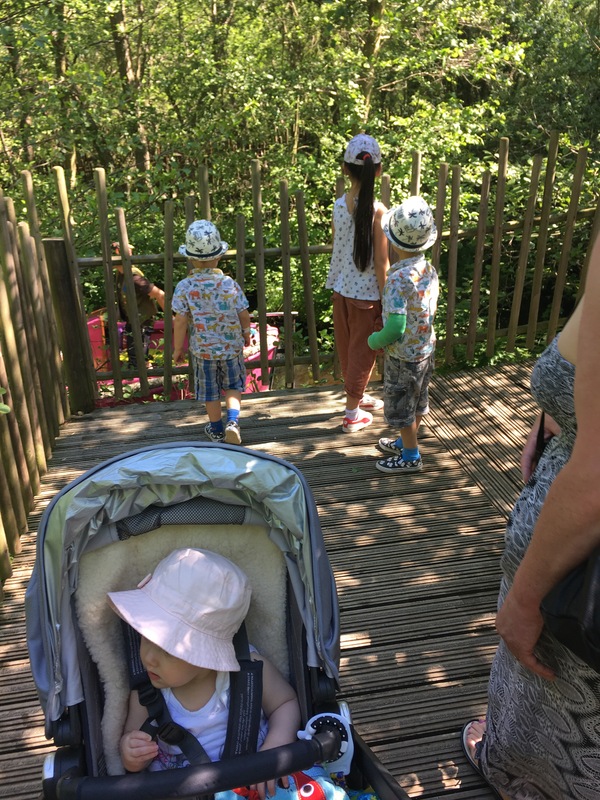 All of my children were engaged in this activity and really enjoyed it all, which is rather hard sometimes to interact children from 8 years to 10 months. 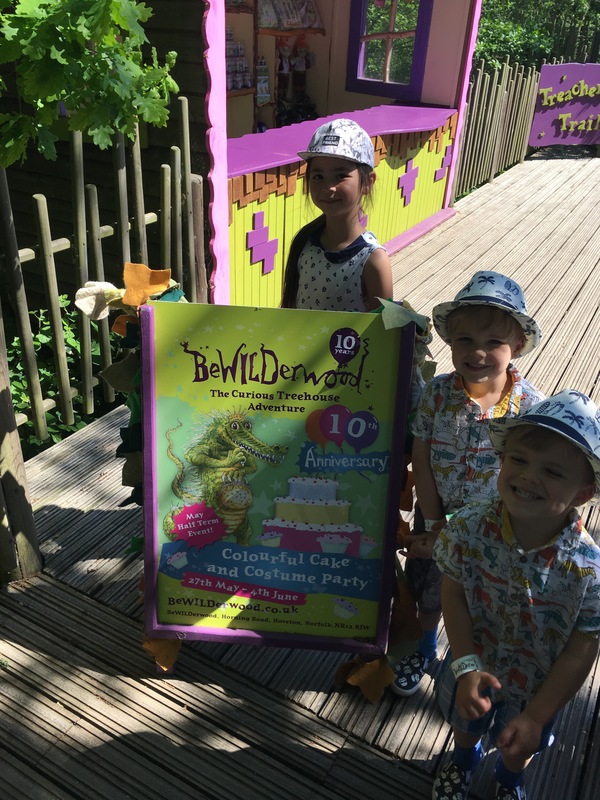 Tom Blofeld also said that they are opening a second Bewilderwood up in the estate of the historic Cholmondeley Castle in South Cheshire. This is extremely exciting and the plans seem amazing! Think giant flowers and climbing inside! 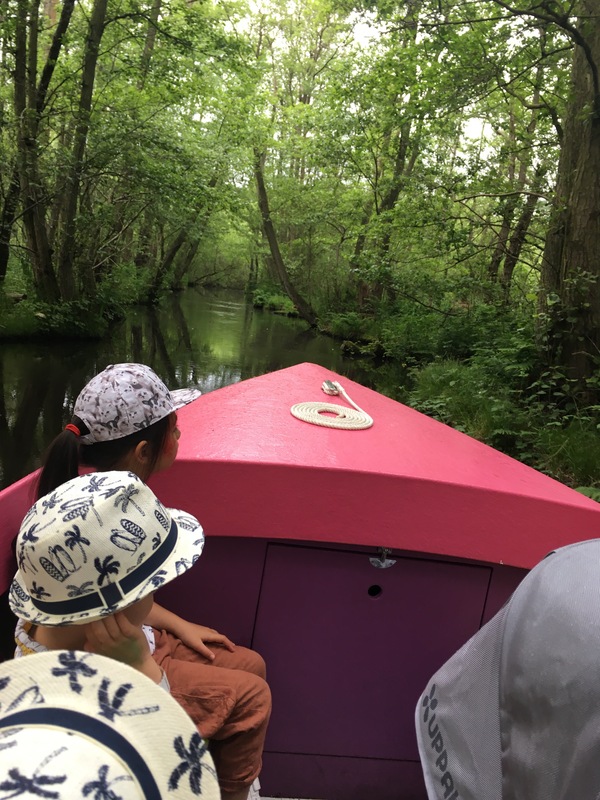 It will be along the same environmentally sustainable premise of the original Norfolk site but from the sounds of it will be aimed at the slightly older children. The park is covered in bark, and the pushchair was hard to push in certain points. It wasn’t impossible but it was hard. There are 3 areas where you can buy snacks and food. The food is all natural and organic. For an attraction the prices are so so. I personally would take a picnic but that is my personal preference. If booking on line you do get a discount on the price of your ticket. If pre booking you do go past the initial shed where everyone else buys their tickets and you get your wristbands altogether at the greetings gate so time wise you do get an advantage for booking on line too. Now we went on a day where it was extremely hot, the car park… well that had very little shade when we got there and when we left, during the day who knows though as I was too busy having fun then to worry about shade on an unused car. Inside the park you couldn’t really tell that it was a scorching day. It is 99% covered in woodland trees and even running around and climbing over all the activities you didn’t feel like you were about to faint through heat exhaustion. This was a major plus in my books, however when it rains I am not too sure how slippery the ropes and stairs would become. The one thing that is different to any of the usual theme parks is the fact that it is all based around nature. You are actively encouraged to run and be a child again with your child. There are basically no adults talking or texting on phones. All you see are happy, smiley faces on adults and children enjoying exercising and spending time together. There are no fancy rides but there are funky treehouses and tree structures. You may read this and think you could do this at your local park and wood but trust me the play structures are unbelievable, they are HUGE and not just one or two there are tonnes! The whole day was amazing! I would go back for a third time and I am excited to see what the second park will look like. I am sure it will be as much as a success as the original! There aren’t many activities I can take all the children and all of them be excited and grinning from ear to ear from all the activities they done. MO didn’t do any of his autistic traits or stims and from an Autistic child’s mum’s point of view it was amazing! To see MO happily join in and want to get involved was fantastic to witness. 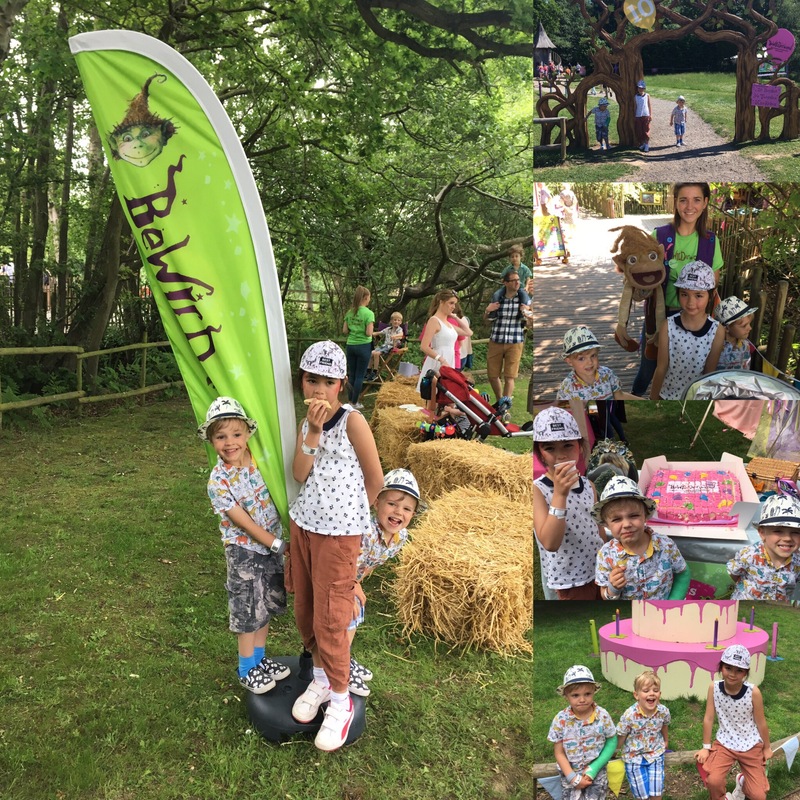 Thank you Bewilderwood for inviting us along. My review was exchange for tickets however all thoughts and opinions are mine alone. Previous Post How is it nearly June!